The people behind Essense Coffee believe that coffee is not just a beverage that we drink. Drinking coffee itself is an experience that involves both the mind and the body. Essense is not just about the coffee but it is also about the way that coffee is brewed and encapsulating a perfect proportion of coffee blend in an easy to use coffee pod. Essense makes brewing that perfect cup of coffee as simple as possible while giving you full control over the brewing process. Essense Coffee came to be because the inventors discovered that coffee is consumed in almost every part of the world but it is both prepared and consumed very differently and is unique to each location. In 2013, they set out to develop and create a coffee taste that would appeal to all coffee lovers. The result of their research is Essense which comes in 2 parts. The first is the Essense pod. The pod contains the perfect dose of ground coffee, for any type of preparation, avoiding waste of quantities and leaving the flavour and quality of the coffee intact. Using ultrasound compacting, the pod has the perfect density for coffee extraction. The coffee pod always remains fresh, because the raw materials do not come in contact with air until the pod is ready to be brewed. A variety of ready-made Essence pod coffee blends are available or you can make your own blends using a special adapter. The choice again is yours. The second part of Essense is the Essenser Kit, a 3-in-1 coffee brewer that allows you to brew coffee using the Essense pod using 3 different brewing methods – French press, cold brew or Aeropress. The kit has interchangeable adapters allowing you to choose your brewing method of choice. For the Aeropress method, an adapter is provided that allows you to use an Aeropress with the Essenser Kit. 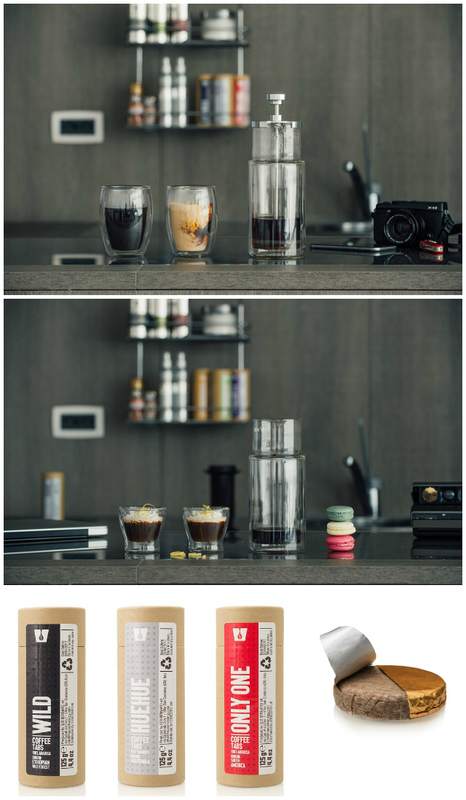 The actual Aeropress coffee brewer is not included. The brewer kit is made up of a glass, double-walled carafe and the three attachments are made from BPA-free plastic materials and stainless steel parts. The Essense Coffee project is an on-going project and they are currently looking for Tasters to contribute to the project. If you love coffee and would like to contribute, you can sign up to Be a Taster. Selected Tasters will receive a free Essense Kit to try and in return they will provide opinions, ideas and photos to the Essense project. Essense is the very essence of coffee in a single pod, perfect for every kind of preparation and according to the kind of coffee that we love the most.